BOUNDARY-BREAKING EARLY CRIME THRILLERS, MOB DRAMAS AND ACTION MOVIES FROM LEGENDARY CULT DIRECTOR SEIJUN SUZUKI Includes: Eight Hours of Terror (1957), The Sleeping Beast Within (1960), Smashing the 0-Line (1960), Tokyo Knights (1961), The Man with a Shotgun (1961). 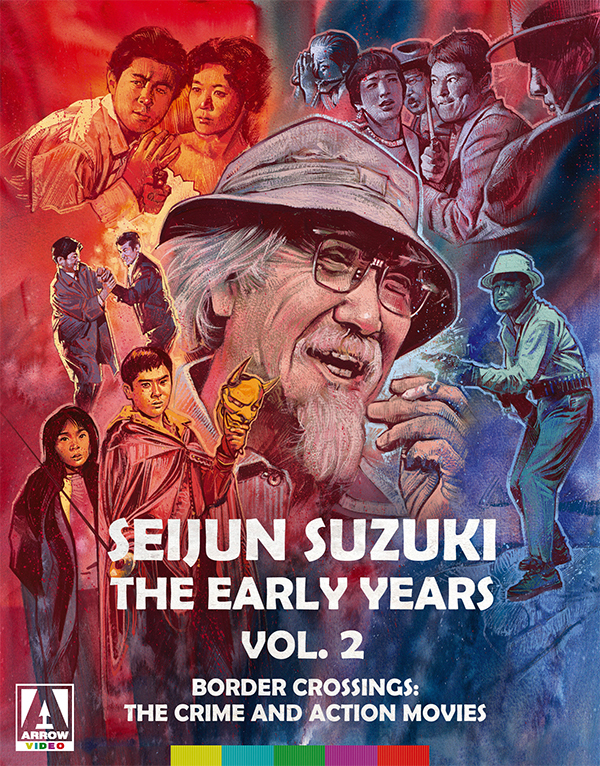 Available for home-viewing for the very first time ever outside of Japan, this collection of bleak crime thrillers, brash mob dramas and exuberant action movies, made across the first five years of Seijun Suzuki's career within Nikkatsu's Borderless Action (mukokuseki akushon) line, presents a heady mix that laid the ground for what was to come. The Sleeping Beast Within (1960) is a gripping crime thriller that sees a newspaper reporter's search for his girlfriend's missing father lead him into heart of the criminal underworld of Yokohama's Chinatown. Its companion piece, Smashing the 0-Line (1960), follows two reporters' descent into a scabrous demimonde of drug and human trafficking. In Eight Hours of Terror (1957), a bus making its precarious way across a winding mountain road picks up some unwelcome passengers. In Tokyo Knights (1961), a college student takes over the family business in the field of organised crime, while The Man with A Shotgun (1961) marks Suzuki's first entry into the territory of the "borderless" Japanese Western.